One of the things we emphasize a lot in workshops and in our teleclasses is how important self-love is in creating and sustaining healthy, happy relationships. For some women we talk to, this seems surprising. In my (Michelle’s) experience, both in my own life, and in coaching many women cultivating self-compassion and self-love is a very key quality. So why is this true? What is it about self-compassion and self-love that can make a big difference? Self-compassion is the moment-by-moment willingness to hold yourself and your feelings with gentleness, and without judgment. It’s a decision you can make in each moment, a choice to respond to yourself in a particular way. Treating yourself with compassion doesn’t require you to feel any different – it just requires you to do something different. Self-love is something that needs to grow over time. It’s a larger way of being, a loving orientation toward yourself and toward life. When you love yourself, you do your best to appreciate yourself exactly as you are. Then, from that place of self-appreciation, you make choices that are truly in your own best interest, rather than ignoring, denying or sacrificing yourself. Self-compassion is not self-pity. 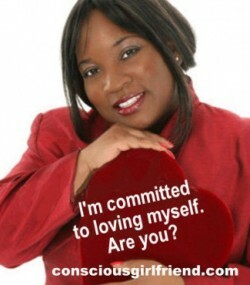 Self-love is not arrogance nor is it narcissism. It’s not self-centeredness, either. How can lack of self-love and self-compassion be such a problem in relationships? It can lead you to be overly critical of a partner – and criticism is the #1 reason that breakups happen. It can lead you to shut down if you get triggered, and make it difficult to communicate with your partner. It can lead you to “go along” with the needs and desires of a partner, even when it’s not what you want or need. It can keep you in an emotionally (or even physically) abusive relationship. Cultivating self-compassion, and developing self-love is one of the key antidotes to all of these unfortunate (and unfortunately common) relationship maladies. Because of how much of a difference this has made in my life, I love to work with women to develop their self-love and self-compassion.